Scientists may have solved a long-standing puzzle over why conditions on Earth have remained stable enough for life to evolve over billions of years. The 'Gaia' hypothesis proposed that living things interacting with inorganic processes somehow keep the planet in a state where life can persist—despite threats such as a brightening sun, volcanoes and meteorite strikes. The puzzle of how this might work has divided experts for decades, but a team led by scientists from the University of Exeter have proposed a solution. They say stability could come from "sequential selection" in which situations where life destabilises the environment tend to be short-lived and result in further change until a stable situation emerges, which then tends to persist. Once this happens, the system has more time to acquire further traits that help to stabilise and maintain it—a process known as "selection by survival alone". 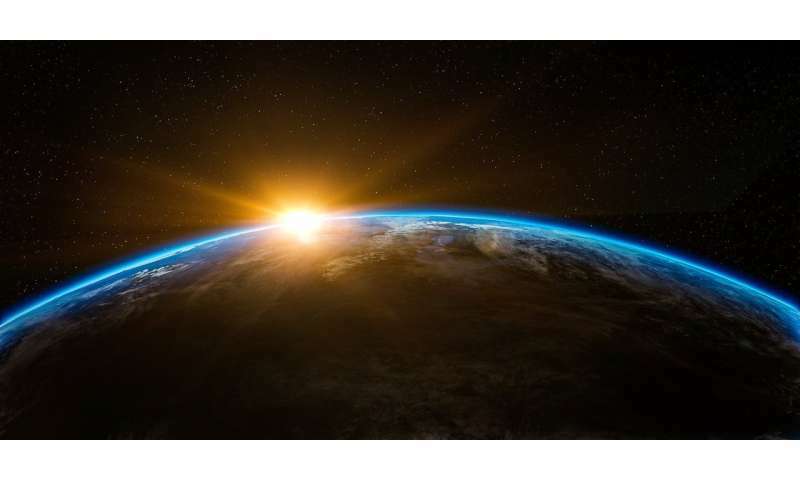 "We can now explain how the Earth has accumulated stabilising mechanisms over the past 3.5 billion years of life on the planet," said Professor Tim Lenton, of the University of Exeter. "The central problem with the original Gaia hypothesis was that evolution via natural selection cannot explain how the whole planet came to have stabilising properties over geologic timescales." "Instead, we show that at least two simpler mechanisms work together to give our planet with life self-stabilising properties." He added: "Our findings can help explain how we came to be here to wonder about this question in the first place." Gaia might work for over 20 years—finally it looks like a series of promising ideas are all coming together to provide the understanding I have been searching for." Dr. James Dyke, of the University of Southampton, also an author on the paper, said: "As well as being important for helping to estimate the probability of complex life elsewhere in the universe, the mechanisms we identify may prove crucial in understanding how our home planet may respond to drivers such as human-produced climate change and extinction events." Creating transformative solutions to the global changes that humans are now causing is a key focus of the University of Exeter's new Global Systems Institute, directed by Professor Lenton, who said: "We can learn some lessons from Gaia on how to create a flourishing, sustainable, stable future for 9-11 billion people this century." The paper, published in the journal Trends in Ecology and Evolution, is entitled: "Selection for Gaia across multiple scales." Maybe they should also be studying what it might take to push the whole thing so far out of balance that it collapses the ability to sustain any life at all. We certainly seem to be doing our damnedest to conduct an uncontrolled experiment in exactly that, and it might be nice to know in advance of our own extinction whether we had succeeded.